A doula provides continuous emotional, physical, and informational support for the birthing person and her partner before, during, and just after labor. More people than ever are choosing to have a birth doula as part of their birthing team. Louise is one of the most experienced birth doulas in NW Indiana and the Chicago area, and she is a leading trainer in the Chicago and Northwest Indiana community. She is passionate about helping families to have better, healthier birthing experiences, preparing and bringing more doulas into the birthing team, and teaching healthcare providers about doula care. Louise began supporting and educating expectant and new families in 1988. In 1994, she was trained as a Birth Doula by Penny Simkin, a founder of DONA International. She has led the introduction and growth of doula-supported births in Chicago’s south suburbs and Northwest Indiana over the past 30 years, providing support at over 1,500 births in 28 hospitals. Louise is also a childbirth educator at Franciscan Health Crown Point. She created and manages a doula program at Franciscan Health Crown Point. She speaks at obstetrical staff training sessions and childbirth classes at area hospitals. Get in touch to learn more about Louise’s birth doula and services. Louise became a DONA-certified Birth Doula Trainer in 2002. Over the last 17 years, she has conducted 43 training workshops. Louise teaches DONA International approved Birth Doula Training Workshops in Crown Point, IN (approximately one hour from downtown Chicago). Each workshop fulfills a necessary requirement for certification as a DONA International Certified Birth Doula. Participants may have the option of volunteering at the Crown Point Birthing Center, which provides an opportunity to get expert-mentored births with Louise. 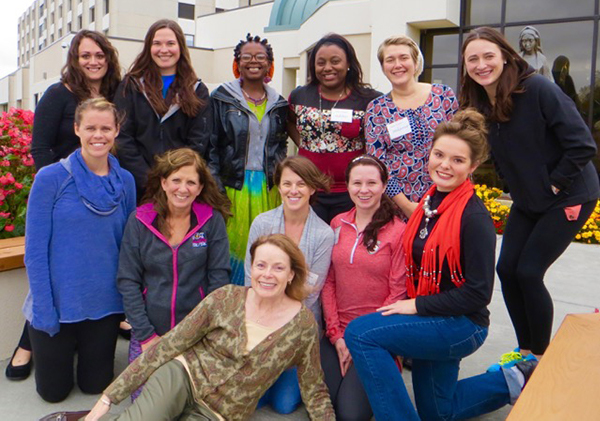 Read about DONA's Birth Doula certification requirements and process at the links below. Birth Doula Training Workshops take place on the following dates, meeting Thursday evening from 7pm-10pm, and from 9am-6pm on Friday and Saturday. The workshops are held at Franciscan Health Crown Point, Indiana (45 miles southeast of Chicago). Get in touch to learn more or reserve a spot in an upcoming workshop.